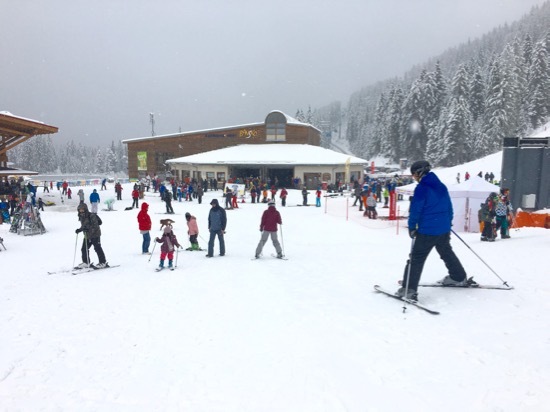 Bansko snow has hit a high point this week. The snow fell and we’re all happy. I enjoyed some very nice turns in the fresh powder. Watch the video below — as it’s the best way to get a feel for the powder conditions. The snow road is shut. 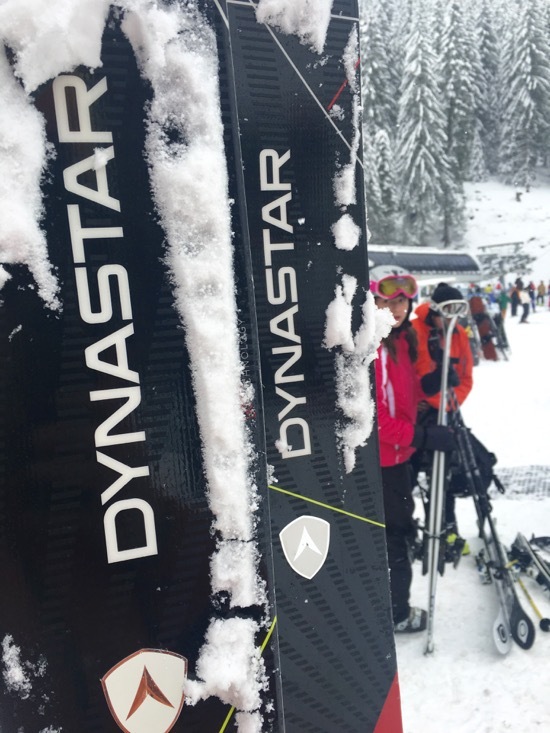 The super wide Dynastars, part of the Advanced range to rent here, made light work of the powder. Love them. The current low temperatures will remain until Friday 18th March. A slight increase, but with freezing temperatures on the main piste areas now open it will mean snow making continue to keep things going. With sunny spells, some of the most perfect 9.5/10 days lie ahead. There are still high avalanche risks, so be sure to know where you are going, if venturing off piste. You’ll see many fine areas to the side of pistes and through the trees between pistes. There will be some light snow falls over the next few days. 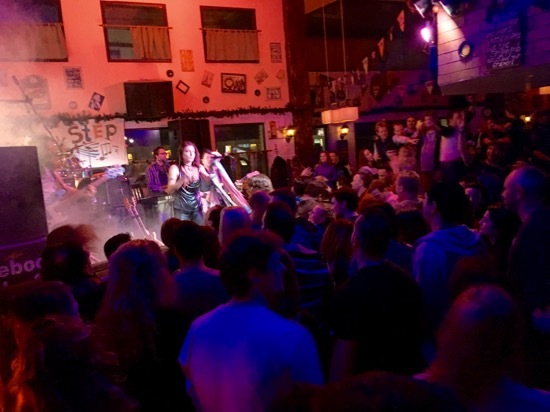 Happy End 3.30pm happy hour has consistently been popular, with a good live band usually coming on at around 4.30pm. Amigos was packed, yet again, on Saturday. The last performance of Step By Step at Amigos is on Saturday 19th March. that will be a shame. I’m hoping to interview Aleksander (lead guitar – “whiskey time…”) this week. Also on Saturday I was keen to show Elitsa, a guest snow reporter, the joys of Sing Sing. Eli and Donny put on a fabulous show, a great fun party. 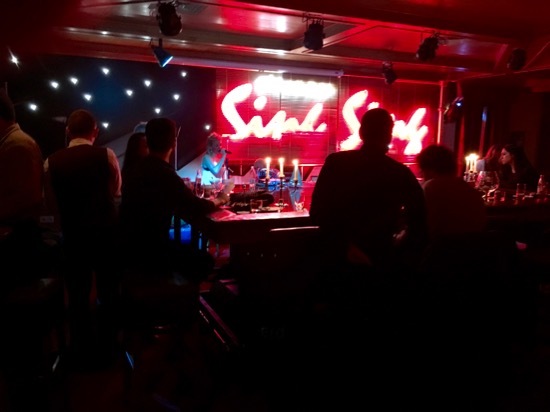 Taboo band at Sing Sing. Waking up was hard on Sunday — but that powder beckoned. I was equipped with the super wide Dynastars. David joined me on his board. A fabulous morning. Eating out I enjoyed a good Hungarian ghoulash soup at the Bears restaurant. The veggie burger at Smokey Mountain Bar and Grill was good and the group pf friends with me were very satisfied. The craft beer selection at Smokey Mountain continues to improve. 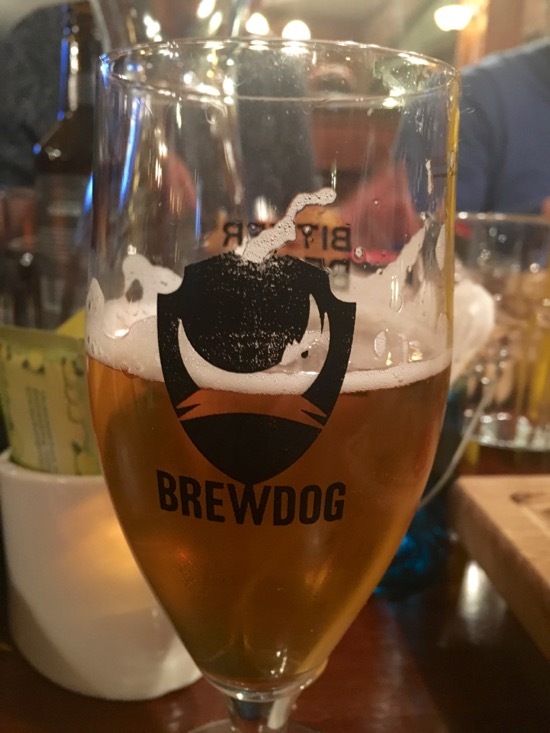 The range of Brew Dog and Ah! beers continues to grow and makes this the go-to place for craft beer lovers, like me. Don’t forget that London Pride, on draught keg, is available at The Irish Harp. 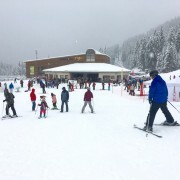 Lots of other places to try, the views of the community in the in-app chat are helpful to try and plan your evenings, We all have different tasted and my recommendations tend to centre around the gondola lift area, as that is where I live. But of course a stroll round the old town will reveal some interesting mehanas. So that’s all for now. Thank you for supporting Bansko Blog and Bansko App. I can recommend a trip to Bansko for the epic conditions. A perfect time of year and, once again, Horizon festival has picked a great week. If you have yet to book your ski hire, transfers etc, then you can book all you need here. Grab a great deal and a free piste map lens cloth. I have managed to get a load more printed, so you can be sure we will not run out. The ski season ends 17th April, subject to snow conditions. There’s never been a better time this season to come to Bansko. If you need accommodation ideas, or need help on lessons, learning to ski then feel free to send me a message using the form in the bottom right of this page. Thank you for reading and I hope to see you in Bansko.